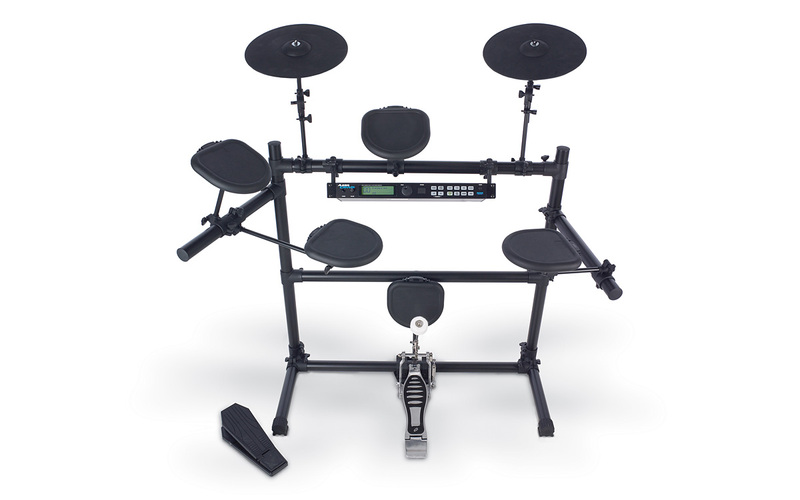 The Alesis DM5 Kit is a high quality, entry-level solution for a complete electronic drum kit, with professional sound and familiar, comfortable playability. The DM5 Kit features quick setup and easy portability, combined with a versatile library of percussion sounds. Drummers can practice quietly with headphones or get as loud as they need on–stage by connecting to an amplifier. The DM5 functions equally well for recording or performing, delivering the portability you want and the power you need. Expand your kit: Single drum and cymbal pads available separately. 4 Piece Velocity Sensitive Pad Drum kit– (5 pads) Snare, 2 Toms, Kick, Ride, Crash and Hi–hat cymbals.